Lipo 360, also known as the Modern Mommy Makeover or Fit Mom Makeover, is a comprehensive liposuction procedure. With the combination of our modern technology and techniques, advanced liposuction specialists can now offer complete contouring in one procedure. As anesthesia and pain management options have evolved, surgeons can now achieve more in one setting than ever before. These liposuction procedures are designed for people who want dramatic changes to their body. What makes this procedure new and innovative is that it is effective for not only those who need help removing unwanted fat, but for very fit and thin people, as well. The Lipo 360 procedure typically begins with the patient’s back, treating upper back rolls, bra fat, lower back fat and the lower waist. In this phase of the procedure, arms are treated as well, if needed. If the patient is very thin, the goal is to simply remove less fat. If the patient has very loose skin, the procedure calls for more plasma skin tightening and if there is a significant amount of unwanted fat it will be removed. After treating the back and the arms, the patient is turned over for abdomen liposuction treatment. Once the arms, back, and abdomen are treated we will typically move on to thigh liposuction where we tighten the inner thighs. Breast enhancement with augmentations, lifts, and reductions can be added to the Lipo 360 procedure as needed. As a member of the American Society of Aesthetic Plastic Surgeons Safety Committee I have a few important thoughts on this. Firstly, these procedures should be done by a surgeon who does them frequently in order to understand the proper sequencing and safety. Only surgeons with their own team should perform Lipo 360. Similar to a Formula 1 pit crew, a coordinated effort is needed to ensure the smoothness of these large procedures. I believe these need to be done with multiple energy platforms which include Vaser, Plasma, and Power Assisted Liposuction. Surgeons who only have basic equipment should not attempt these procedures at once. 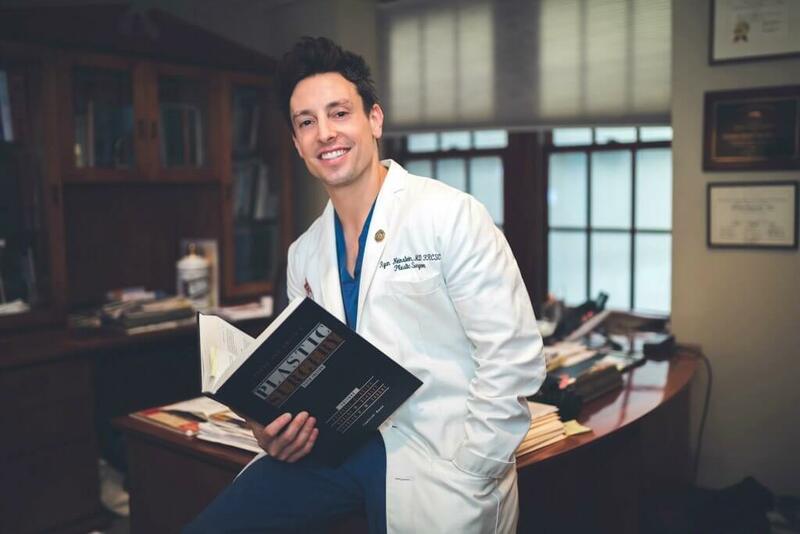 All of our anesthesiologists at Neinstein Plastic Surgery are board-certified. There is no nurse anesthetists, medical students, residents, or fellows present. You will be called before and after surgery by the anesthetists in order to ensure the appropriate thoughtful approach catered to you. Our group, East Side Anesthesia, can be reached here with any questions. All patients of Neinstein Plastic Surgery receive a lymphatic massage with aromatherapy and meditation in order to ease the anxiety and stress of healing, and reduce swelling and scar tissue as fast as possible. If the procedure is extensive, our team will likely have you stay at one of our nearby partner hotels with a private nurse for the first night. This takes all the stress off of our patients and care givers. Dr. Neinstein will visit with the patient early the next morning and the nurses are trained to the ins and outs of these procedures so will be able to guide the patient through the first night and will be in constant communication with Dr. Neinstein. For more liposuction before and after photos, please visit our Before & After page.